Things are rarely dull at BlossomCo and so far 2015 is keeping on trend! 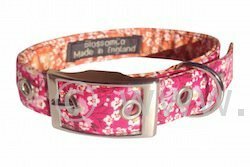 As well as new orders from new stockists in new towns (and countries!) 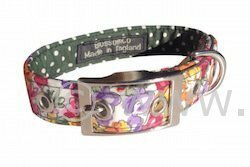 and existing stores re-ordering more of our collars and leads, we’ve also been busy adding new designs to our range of handmade dog collars and leads. Check out our new designs Eva and Clara on our products page – we’ll be releasing them just in time for the Top Drawer London exhibition at Olympia in January. After a super successful show at the Autumn version of Top Drawer last September, we’re back at Olympia again for the Spring show. Whether you’re a prospective new stockist, or one of our many existing stores, please come along to have a chat and inspect our new designs. We’re on Stand Q65 and the show runs from Sunday 11th to Tuesday 13th January 2015. Come along and see us….